In America, we worry about keeping teens off the street and away from drugs, gangs and trouble. In Israel, parents have to worry about their teens being murdered on the road every time they leave the safety of their community. This is especially true in Bet Yatir, located in the beautiful hills outside of Hebron, but fairly isolated from other Jewish communities. The Bet Yatir Youth Center welcomes all local teens, giving them a place to call their own, within the safety of the community. The teens can meet up with their friends and their parents don’t have to worry if there will be a terror attack on the road. The center includes the typical things you’d expect to find in any youth center: a pool table, video games, a ping-pong table. 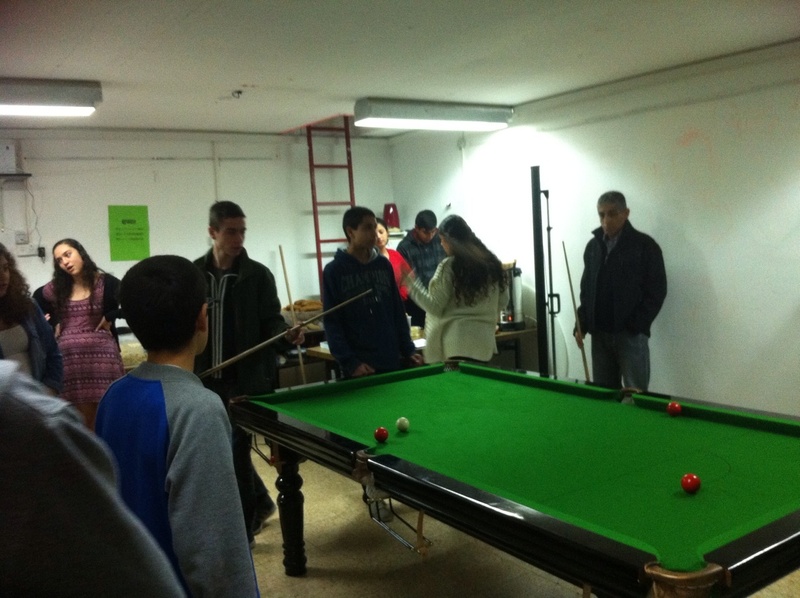 But in Israel, teens also meet at the youth center to plan activities that will benefit their entire community. They are very focused on community service and helping others. While they have lots of fun, and they do relax and play a game of pool, they also look for ways to better themselves and their community. Bet Yatir’s Youth Center is in desperate shape! A New Coat of Paint — A Fresh Look! There are lots of children in Bet Yatir and the current youth center has seen hundreds of teens grow up within its walls. Today the center is in dire need of renovation. A new coat of paint, new ceiling tiles, new flooring, and of course, new board games, bookshelves, and chairs and tables. When all is done, the place will look brand new. It will be ready for hundreds more kids to come through its doors and find their own home away from home. 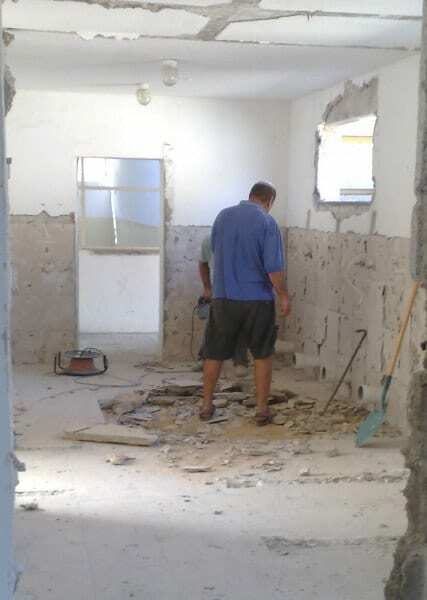 Your donation today will provide the necessary renovations for the Bet Yatir Youth Center. As these children grow up surrounded by a beautiful Biblical landscape, they will create lifelong friendships within these walls. You can invest in their lives. The teens and their parents of Bet Yatir are so grateful to have friends like you that they can count on as they settle their God-given inheritance.